The Central African nation of Burundi has reached a political crossroads. In the last decade Burundi has managed, with international assistance, to bring an end to a vicious civil war and install a government that reflects demographic and tribal realities in Burundi. However, since the opposition decided to drop out of the political process by boycotting the 2010 elections, Burundi has witnessed a rise in political violence and state repression. 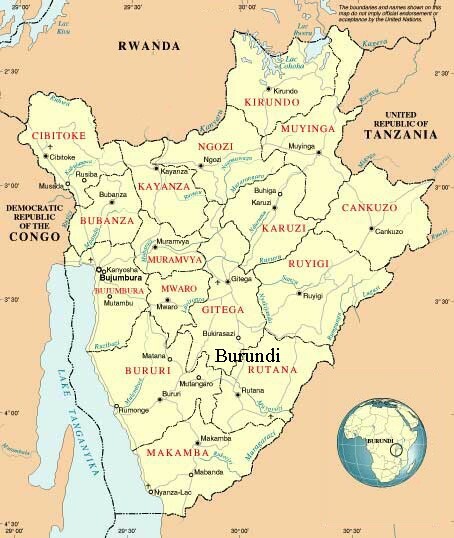 Landlocked and desperately poor, Burundi passed through periods of colonial rule by both Germany and Belgium before attaining independence in 1962. Like its neighbor Rwanda, Burundi has been consumed from the beginning by the rivalry between the majority Hutu (with 85% of the population) and the minority Tutsi community. In the first democratic elections, held in 1993, Burundians split from the traditional Tutsi elite by electing a Hutu president, Melchior Ndadaye, and a Hutu-dominated parliament. However, Ndadaye was killed by Tutsi troops only a few months later, launching a brutal 12-year civil war between the Hutu and Tutsi populations that left over 300,000 dead. A reported born-again Christian, Agathon Rwasa grew up in the culture of ethnic and political violence that dominated Burundi. His career became inevitably tied to the fortunes of Palipehutu, a Hutu militia dedicated to the extermination of the Tutsi community. Palipehutu had its origins in the post-independence period of Burundi, when the political aspirations of the Hutu majority collided with Tutsi control of the military. By 1972 a Hutu organization (Umugambwe w’Abakozi b’Uburundi – UBU) had emerged with the intention of wiping out the Tutsi community in Burundi. Hutu massacres and Tutsi repression of UBU left over 100,000 dead. UBU reorganized in the Hutu refugee camps in Tanzania in 1980, adopting the name Palipehutu and resuming massacres of thousands of Tutsi civilians in northern Burundi in the late 1980s. Many of these killings were carried out by Palipehutu’s military wing, the Forces pour la liberation nationale (FNL). The latter, under the name Palipehutu-FNL, split from the Marxist-influenced political wing of the movement in 1991. By 2001, Agathon Rwasa was challenging Cossan Kabura for leadership of the movement, with Rwasa representing a hardline faction uninterested in negotiations with the government. In February 2001, the FNL announced it had sacked Kabura for pursuing peace talks without authorization, followed by a Rwasa-led assault on the capital of Bujumbura. Rwasa had already gained a degree of notoriety for his leading role in the so-called “Titanic Express Massacre” of December 2000, in which 20 Hutu and one British woman were removed from a local bus and murdered (Reuters, December 30, 2000; Sunday Times, January 11, 2004). FNL official Alain Muhabarabona announced on August 8, 2002 that he had in turn sacked Rwasa as leader and taken over command of the movement – the first of several such attempts to displace Rwasa as FNL leader, all of them unsuccessful (AFP, August 22, 2002). Internal divisions did not prevent Rwasa from launching a major attack on Bujumbura in August, 2002 that demonstrated he was still firmly in control of the movement (AFP, August 25, 2002). By the end of the year the other major Hutu militias had made peace with the government, leaving only the FNL still in the field. In the spring of 2004 there appeared to be some softening of the FNL position and it seemed possible that peace talks with the government would resume. This process was derailed, however, by the Rwasa-authorized massacre of roughly 160 Banyamulenge Congolese Tutsis at the Gatumba refugee camp on August 13, 2004. Pointing to previous massacres of Hutus by Burundian Tutsis, responsibility for the slaughter was quickly and proudly claimed by the FNL (Radio Publique Africaine, August 14, 2004). Though the massacre was roundly condemned by the international community and was cited in UN Resolution 1577, there was little follow-up, with no arrests made and no referral to the International Criminal Court. The movement’s next schism occurred in October 2005, when a government-supported faction was created under the leadership of former FNL deputy leader Jean-Bosco Sindayigaya, who had left the movement maintaining that all its demands had already been met. This faction had little impact as it fielded very few fighters but created some confusion by continuing to use the name Palipehutu-FNL. An apparent plan to transfer two battalions of well-armed Hutu fighters of the Forces pour la Défense de la Démocratie (FDD) returning from the Democratic Republic of the Congo (DRC) to Sindayaigaya’s command in order to negotiate with this version of the FNL rather than Rwasa’s collapsed when the scheme became known to Rwasa’s FNL (AFP, October 10, 2005; Radio Publique Africaine [Bujumbura], October 10, 2005; June 25, 2006; Net Press News [Bujumbura], September 21, 2005). Funding for the movement came largely through local taxation, reported to be set at the rate of 1,500 Burundian francs from each household and 2,000 francs for every cow owned, these amounts to be paid every three months in FNL-controlled areas (Burundi Press Agency, November 16, 2007). Commercial vehicles passing through FNL areas were also charged 2,000 francs (Burundi Press Agency, June 25, 2007). From October 2005 to March 2006 there were numerous raids and skirmishes with security forces, particularly near the rebels’ base in the Rukoka Forest. Eye-witnesses reported that many of the rebels appeared to be under 18-years of age (Agence Burundaise de Presse, October 3, 2005). [First,] The problem of ethnicity which has always undermined the Burundian society which has been turned into a hobby-horse by governments. Secondly, the fact that all the governments killed and continue to kill innocent citizens instead of protecting them and promoting the Burundian society. There is also the problem of democracy, because democracy agrees that people express their opinions. We are asking to be recognized and to be able to exercise our political functions without being hunted down or pursued… (RFI, May 31, 2006). Rwasa’s chief demand (not met by this agreement) was complete reform of the once Tutsi-dominated Burundian military, where 50% of personnel were to remain Tutsis according to the constitution as a counter to further genocide (RFI, June 16, 2006; Bonesha FM [Bujumbura], June 6, 2006). Despite the peace agreement, FNL fighters remained active in Bujumbura Rural Province and grenade attacks on bars and the murder of police officers in the capital continued through 2006. In July 2006, Rwasa’s followers shelled Bujumbura from the hills surrounding the capital in response to the arrest and alleged torture of three FNL leaders (Burundi Press Agency, July 24, 2006). By mid-February 2007 there were reports that Rwasa had crossed the border from Tanzania into Burundi to reorganize the FNL (Net Press News [Bujumbura], February 19, 2007). Rwasa’s presence was essential as large numbers of FNL fighters said to be tired of life in the bush, constant warfare and the intransigence of the FNL leadership had begun to desert the movement in 2006-2007. According to an army spokesman, deserters had revealed FNL fighters were short of food by mid-summer, 2006 and were forced to eat grass to combat hunger (Burundi Press Agency, August 19, 2006). Many of the deserters were regrouped by the army under new leaders, but the old Palipehutu-FNL name was retained by the government to create dissension within the movement. In early September, 2007, FNL loyalists attacked one of these camps in a northern suburb of Bujumbura, driving the upstart FNL faction into the bush with heavy losses (IRIN, September 4, 2007; Bonesha FM [Bujumbura], September 5, 2007). Mainstream FNL militants killed nine men in October 2007 in the camp of dissidents who continued to use the Palipehutu-FNL in defiance of FNL spokesman Pasteur Habimana’s demands the dissidents change the name of their group (Bonesha FM [Bujumbura], October 22, 2007). Habimana accused the chief mediator, South African security minister Charles Nqakula, of gathering “bandits” together under the FNL name, though it was more widely believed that the divisions in the FNL were being promoted by the Bujumbura government. Only days earlier, FNL forces had attacked dissident FNL leaders at the Hotel Albatros in downtown Bujumbura, killing three and seriously wounding dissident leader Nestor Banzubaze (a.k.a. Banes) (Net Press News, October 15; RFI, October 15). Further embarrassments followed as other “FNL dissidents” loyal to Emmanuel Sindayigaya (a.k.a. Gatayeli) bearing newly issued Burundian military gear began carrying out atrocities in southern Burundi, compelling government authorities to seize and imprison their new ally (Net Press News [Bujumbura], November 23, 2007). Peace efforts suffered a serious blow in April, 2008 when the FNL began shelling Bujumbura to reinforce FNL demands for full immunity from prosecution and a healthy share of government positions. The dispute descended into street clashes between the army and FNL fighters, angering the Tanzanian and Ugandan brokers of the peace deal (BBC, May 8, 2008). International pressure finally forced Rwasa to agree to a May 25 ceasefire that laid the foundation for a new peace agreement with the government. Under the protection of a detail of South African troops, Rwasa returned to Bujumbura on May 31, 2008 aboard a South African aircraft to the cheers of thousands of people after two decades in the bush (RFI, May 31, 2008). Rwasa declared the end of the armed struggle at a ceremony on June 17, 2008, saying the movement wished to show the international community that it was “committed to reaching a lasting peace.” The demobilization process was complicated, however, by Rwasa’s reluctance to declare how many fighters he had under his command (IRIN, June 17, 2008). In June, 2008 the Army arrested over 100 young men who they claimed had been recruited to the FNL after the ceasefire in order to boost FNL numbers in a newly-integrated Burundian army (BBC, June 19, 2008). Rwasa was now claiming a vastly inflated strength of over 21,000 FNL fighters. By late July, 2,450 fighters had surrendered only 40 weapons (IRIN, July 29). Despite many difficulties, the government and the FNL came to an agreement in December, 2008 that called for 33 senior government posts to be offered to FNL members as well as the release of political prisoners from state prisons (Radio Burundi, December 4, 2008). Rwatha was eventually appointed head of Burundi’s national social welfare agency (AFP, June 5, 2009). South African troops foiled an assassination attempt on Rwasa by assailants armed with grenades a month later (Net Press News [Bujumbura], July 14, 2009). The FNL began demobilizing its fighters with a ceremony in western Burundi in April, 2009 (Radio Publique Africaine [Bujumbura], April 18, 2009). In a process assisted by the South African military, 3,500 fighters were destined to be integrated into the Burundi Defense Forces and police, with the remainder (an estimated 5,000) being completely demobilized (Institute for Security Studies [Pretoria], May 8, 2009). The FNL put Rwasa forward as its candidate for the 2010 presidential elections, with Rwasa announcing: “The time of taking power by force is over. Now is the time for dialogue and democracy” (Reuters, November 30, 2009). Though Rwasa was viewed as the main challenger for the presidency, he joined five other opposition candidates in announcing their withdrawal from the June, 2010 elections after the ruling CNDD-FDD won easily in a round of local elections preceding the presidential poll. Rwasa went into hiding in July, 2010, claiming he feared for his life as the government wanted to kill him (Net Press News [Bujumbura], July 8, 2010. In a cassette tape distributed to his followers, Rwasa said: “They’re looking for me because I told the truth [about election rigging], because I said publicly that I don’t accept the results of the local elections… [Last]Wednesday they wanted to arrest me again. I got wind of it and I disappeared from circulation” (AFP, June 30, 2010). The FNL leader was believed to have fled to the DRC’s Kivu region, a common refuge for many regional militants, terrorists and bandits. FNL members claimed Rwasa’s flight had followed a raid on his home in Bujumbura in which tear gas, live ammunition and rockets had been used. Police denied these details, but said they had acted after FNL activists had gathered near Rwasa’s house after rumors of his impending arrest began to circulate, searching passers-by and stopping vehicles (AFP, June 17, 2010). His opponents within the FNL saw their opportunity, and on August 1, 2010, a number of dissident FNL leaders announced they had replaced Rwasa as leader of the movement with Emmanuel Miburo at a congress from which Rwasa was absent. (RFI, August 1, 2010). Rwasa described the leadership congress as “a provocation. It is very clear that the intention of the government is to allow people affiliated to it to take over the FNL party leadership” (RFI, August 7, 2010). Rwasa appealed to UN Secretary-General Ban Ki-moon for help in the “restoration of the FNL party and its leaders in their rights” (Jeune Afrique, September 25, 2010). Rwasa loyalists began to search for the dissident RFL leaders and their followers and the murder of seven sugar factory workers and the discovery of bound and mutilated bodies in the Rusizi River in northern Burundi was taken as an indication FNL fighters were regrouping in the nearby Rukoko marshes (AFP, September 15, 2010; September 22, 2010). By December, 2010, Rwasa was telling journalists that he had “totally renounced the war” even as a UN report suggested the FNL leader had re-mobilized 700 of his most dedicated fighters in the eastern DRC (IRIN, December 10, 2010). Authorities in Bujumbura continued to maintain the fiction that the frequent episodes of grenade-throwing and armed attacks were the work of “armed bandits” rather than political dissidents gathering in the Congo, even in the face of reports from Congolese Colonel Delphin Kayimbi that his forces were battling FNL guerrillas in the North and South Kivu provinces of the eastern DRC (Net Press News [Bujumbura], November 10, 2010). At the same time FNL spokesmen and other opposition leaders were warning of “an explosive situation” in Burundi with the entire opposition sidelined from the political process, though this was partly the result of their own electoral boycott. Without access to government, the opposition began to complain of a constant campaign designed to harass the opposition through arbitrary arrests, torture and extra-judicial killings. Murders of demobilized FNL fighters by uniformed men were becoming common (IRIN [Nairobi], November 26, 2010; December 1, 2010; AFP, October 16, 2010). 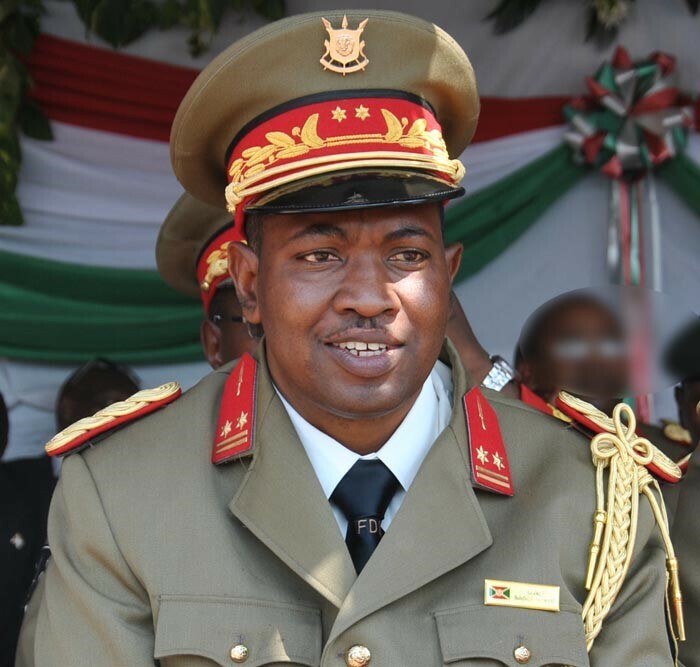 By May 2011, Burundian defense minister Major-General Pontien Gaciyubwenge was ready to admit that the growing violence in western Burundi (especially in Burundi Rural Province) was the work of Agathon Rwasa and his followers (RFI, May 7, 2011). A year later, President Nkurunziza would promise Rwasa: “We will follow you and bring you back with your arms tied behind your back” (AFP, May 18, 2011). On May 30, 2011 a group of fighters believed to be members of the FNL threw a grenade into a crowd watching a soccer match at the home of a ruling party member in Kanyosha district, killing four people and wounding others (Reuters, May 30, 2011). According to a document produced by the Service National de Renseignement (SNR), Burundi’s national intelligence service, Rwasa was personally involved in the planning of an attack on the Chez les Amis bar in Gatumba (near Bujumbura) on September 18, 2011 that killed 39 people (al-Jazeera, September 19, 2011; AFP, September 19, 2011; October 6, 2011). The attack, allegedly carried out by a group under the command of Bariyanka Antoice (a.k.a. Shuti), came a week after Rwasa accused the government of torturing and killing over 100 members of the FNL. Many of those at the bar when it was attacked were members of a local football club with ties to the ruling party. In mid-September, 2011, Rwasa claimed 169 of his followers had been killed since the start of the year, 20 of them after being detained by police. He claimed the latter, together with the intelligence services and the ruling party’s youth wing, were behind a series of “unacceptable massacres, arbitrary arrests and imprisonment, cruel acts of torture, intimidation, death threats and extra-judicial executions” (AFP, September 16, 2011). One of the organizers of the Gatumba massacre, FNL commander Laver Nduwayezu (a.k.a. Carmel, a.k.a. Mukono) was killed by Congolese troops in early May, 2012 and his body handed over to Burundian security forces (AFP, May 4). Overt and covert government operations against the FNL that began in July, 2012 have played an important part in encouraging the movement to renew its armed struggle against the Bujumbura government. On September 2, veteran Hutu rebel General Aloys Nzabampema announced the creation of a new FNL faction of 1,000 fighters, which would take up arms against the regime in response to the government’s “policy of extermination of FNL members” (AFP, September 4; RFI, September 4). The statement declared their goal was the removal of President Pierre Nkurunziza, the Hutu leader of the Conseil National Pour la Défense de la Démocratie–Forces pour la Défense de la Démocratie (CNDD–FDD – National Council for the Defense of Democracy and the Forces for the Defense of Democracy). 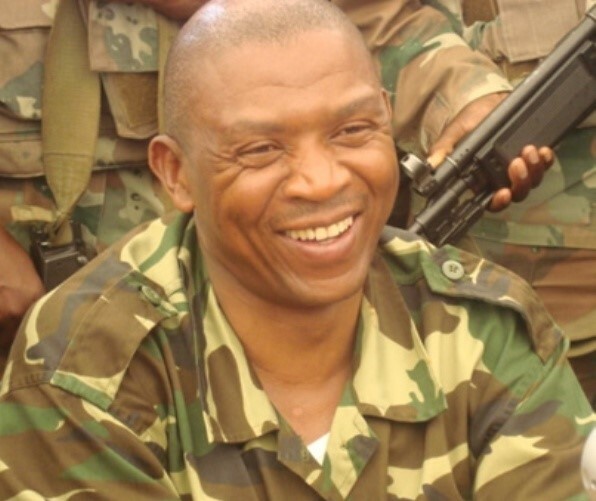 Though the statement caused great consternation in Bujumbura, it was quickly rejected by Rwasa’s spokesman, Aimé Magera, who denied a resumption of hostilities and described Nzampema as a deserter who “has never been a leader of the FNL” (Jeune Afrique, September 4; IWACU [Bujumbura], September 3). Extrajudicial killings by security services or members or allies of the ruling party are encouraged by a culture of immunity in which the current CNDD-FDD government denies the very existence of such a problem despite ample UN documentation of scores of such killings since the 2010 elections. President Nkurunziza appears to be overly reliant on his military advisors, leaving few options for other means of addressing the impasse with the FNL, which still sees itself as the senior Hutu liberation movement and thus deserving of the fruits of political supremacy. Rwasa, a consummate political survivor, is under strong pressure from his movement’s rank-and-file to resume the armed struggle against the government, which is quickly becoming a matter of personal survival for many FNL members. Though the still-hidden Rwasa insists the FNL has abandoned its arms, this is a familiar refrain oft-heard shortly before Rwasa launches yet another deadly attack in this seemingly interminable conflict. The cautious consolidation of its control over Mogadishu by the African Union Mission in Somalia (AMISOM) encountered a pair of serious setbacks in late October as al-Shabaab Islamists ambushed a Burundian patrol on October 20 and mounted a suicide attack on Ugandan troops in their base at the German Metal Factory near Mogadishu Stadium. A statement from al-Shabaab describing the “Mogadish Bloodbath” claimed two “martyrdom seekers” disguised as Transitional Federal Government (TFG) troops infiltrated the camp housing Ugandan troops and forces of Somalia’s TFG and set off their bombs, killing themselves and a number of Ugandan soldiers. This much is acknowledged by AMISOM; the Shabaab statement, however, describes a more complete victory obtained when mujahideen followed the blasts by raiding the base, securing all access routes in and out and massacring all Ugandan and TFG forces contained within. Al-Shabaab spokesmen later claimed at least one of the two suicide attackers was an American citizen who had joined the Somali mujahideen (AFP, October 30). Uganda’s Lieutenant General Katumba Wamala claimed the Ugandans had suffered only three killed and two wounded in the attack, though some reports have suggested far greater losses (Sunday Nation [Nairobi], October 30). Nevertheless, sources in Mogadishu have confirmed that gunmen wearing TFG uniforms rushed the camp after the bombings, killing at least ten soldiers (AP, October 29; Reuters, October 29). Following the attack, a senior AMISOM officer promised that the African Union forces would soon “destroy” al-Shabaab (Shabelle Media Network, October 28; Horseed Media, October 28). Though al-Shabaab claimed to have killed anywhere from 76 to 150 Burundian troops in the earlier ambush in Dayniile district and displayed dozens of bodies wearing AMISOM gear afterward, the real figure appears to be closer to 50. Burundian authorities have claimed a much lower figure of ten killed, but this figure appears intended to ward off domestic opposition to the mission in politically volatile Burundi.The Bujumbura government reaffirmed its commitment to the AMISOM mission after the clash, urging its troops to “double their efforts and vigilance” while calling on the international community to supply the African Union peacekeepers with enough “hardware” to carry out their mandate (PANA Online [Dakar], October 27). Al-Shabaab now describes their sudden August withdrawal from most of Mogadishu not as a sign of weakness, but rather as a strategic operation designed to focus efforts on causing as much damage to AMISOM as possible without having to defend ground. According to the Shabaab statement on the Dayniile clash of October 20, “The recent battles have lured the AU forces, who previously sought refuge behind their heavily fortified bases and underground bunkers, out into the open; thereby exposing their intense vulnerabilities and proving their inability to fight in an urban area” (Ansar1.info, October 24; Mareeg Online, October 24; Africa Review [Nairobi], October 25). Al-Shabaab’s general withdrawal from Mogadishu has presented the undermanned African Union mission with the dilemma of how to occupy and consolidate its gains in Mogadishu without spreading AU forces too thin. According to AMISOM spokesman Lieutenant Colonel Paddy Ankunda: “The outer north and eastern fringes of the city must still be cleared, but key ground and buildings are no longer under the control of the extremists” (AFP, October 11). The Shabaab strategy also has the benefit of freeing up forces to fend off Kenyan occupation of the Shabaab-held port of Kismayo, which would constitute a crippling financial loss to the Islamist movement. Press Office, Harakat al-Shabaab al-Mujahideen, “The Mogadishu Bloodbath – 80 Ugandan Soldiers Killed,” October 29, 2011. This article first appeared in the November 3, 2011 issue of the Jamestown Foundation’s Terrorism Monitor. While the world’s attention focuses on the uprisings in Arab countries, Burundian troops have made significant progress in leading an offensive against Somalia’s al-Shabaab movement, the first sign of real military progress since the African Union Mission in Somalia (AMISOM) was created in early 2007. Burundi’s contribution of four battalions represents roughly 3,000 of AMISOM’s total of 8,000 troops, with the rest drawn from Uganda’s military. The offensive is a joint operation involving AMISOM forces and troops of Somalia’s Transitional Federal Government (TFG). The AMISOM offensive began by rolling up the elaborate system of trenches and tunnels that al-Shabaab has used to infiltrate their fighters into government-held areas of Mogadishu. Burundian troops supported by Somali TFG militias seized the old Ministry of Defense, the Milk Factory and a number of other important sites in Mogadishu that had acted as bases for al-Shabaab forces, reportedly killing 80 Islamists (Agence Burundaise de Presse, February 24; Shabelle Media Network, February 28). Al-Shabaab forces counter-attacked in an effort to retake the Defense Ministry building on March 5, but were repelled by Burundian forces in heavy fighting (Shabelle Media Network, March 5). An AMISOM spokesman claimed African Union forces now controlled 60 to 70% of Mogadishu, representing a major reversal of fortunes for the Islamist radicals (Daily Monitor [Kampala], March 7). Though government officials claimed only light casualties in the Mogadishu offensive, military sources in Bujumbura have confirmed a total of 43 dead and 110 wounded is closer to the mark since the offensive began on February 23 (AFP, March 5). Wounded soldiers are being transported to the Bouffard French military hospital in Djibouti (Suna Times, March 2; AFP, March 2). Al-Shabaab claims to have taken a number of Burundian prisoners and says it is holding the bodies of 18 dead Burundian soldiers (BBC, March 4). The Islamists have also posted photos of burnt and mutilated Burundian soldiers on the internet. In ritual fashion the bodies of dead Burundian soldiers were dragged through the streets of Mogadishu by al-Shabaab fighters and sympathizers. Al-Shabaab radio reported: “Many Muslim residents and top Islamist officials turned up at the stadium where the bodies of the dead soldiers were displayed and dragged. The residents expressed satisfaction over the death of the Christian forces” (Radio Andalus [Kismayo], February 24). Burundi’s military commanders have attempted to downplay the losses; Chief of Staff General Godefroid Niyombare responded to inquiries by saying, “Whether six, ten or 20 are dead, I don’t see what would change if I told you,” adding, “What matters is not so much the number of victims in the Somali war as the work already done by our courageous soldiers“ (AFP, March 2; PANA Online [Dakar], March 2). With questions being asked in Burundi regarding the apparently open-ended Burundian commitment to a military mission in Somalia, government authorities appear to have implemented a plan to keep awareness of Burundian casualties to a minimum. Families have complained of a lack of news about their dead or wounded and local media coverage of burial ceremonies has been banned (Radio Netherlands, March 10). It is obvious that your boys and your forces have been deceived and that they do not have a clue or understand the realities that exist in Mogadishu. You have to know that in Mogadishu, countries and alliances that are much stronger than you have been defeated. The United States failed in Mogadishu with their coalition from all around the world. Ethiopia lost after they brought a power that is much stronger than yours. Now, your beating started and the evidence is the dead bodies of your forces being dragged in the streets and your prisoners seized in the fight. If you do not take that as a warning, your loss will be even worse than that of the previous occupiers (SomaliMemo.net, March 2). The message did not mention Ugandan forces, suggesting Godane was trying to create internal divisions within Burundi even as his al-Shabaab fighters were under heavy pressure by Burundian forces. The operations in Mogadishu are part of a larger coordinated offensive involving AMISOM, TFG and even Ethiopian forces at several vital points in southern Somalia. 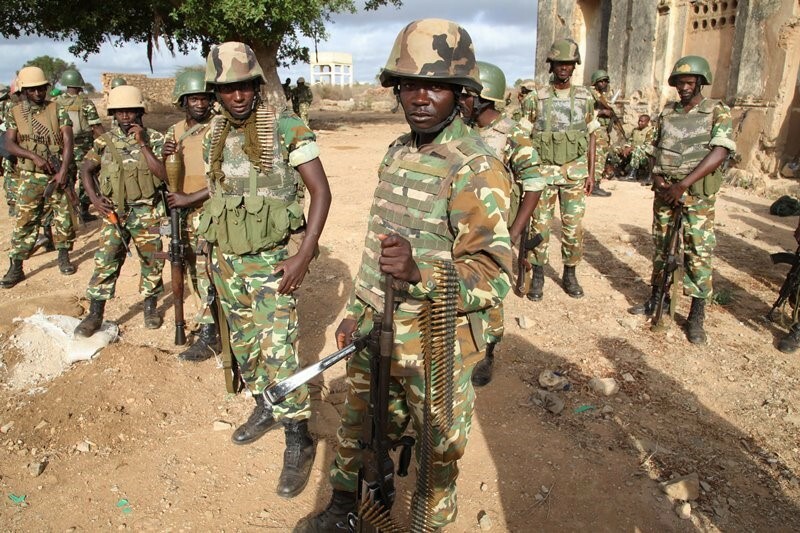 AMISOM forces aided by Ethiopian troops are reported to have taken the towns of Bulo Hawo and Luq near the Kenyan border from al-Shabaab elements. There are also reports of large Ethiopian troop movements in central Somalia, apparently heading to the al-Bur district to hook up with the Somali Sufi militia Ahlu Sunna wa’l-Jama’a for an offensive against al-Shabaab strongholds in the area (AFP, March 8). The controversial presence of Ethiopian troops in Somalia was confirmed by TFG president Shaykh Sharif Shaykh Ahmad, though the president, who had once led the fight against the 2006 Ethiopian invasion and occupation, qualified his remarks by stating the Ethiopians were only providing logistical support to TFG forces (Shabelle Media Network, March 6). Though the Libyan uprising has overshadowed important developments in Somalia, the Libyan crisis may have an inadvertent effect on AMISOM operations – Qaddafi’s Libya supplies 15% of the budget for the African Union (East African [Nairobi], March 7). If the regime falls it will have a direct effect on AMISOM operations unless the United States and Europe steps in to make up the lost revenues. Shaykh Fu’ad Muhammad Qalaf “Shongole,” a leading member of Somalia’s al-Shabaab Islamist militia, told a gathering in Mogadishu on November 4 that Bujumbura and Kampala would be the target of al-Shabaab attacks if Burundi and Uganda did not immediately withdraw their troops from Mogadishu (Sunday Vision [Kampala], November 6; Garowe Online, November 4). 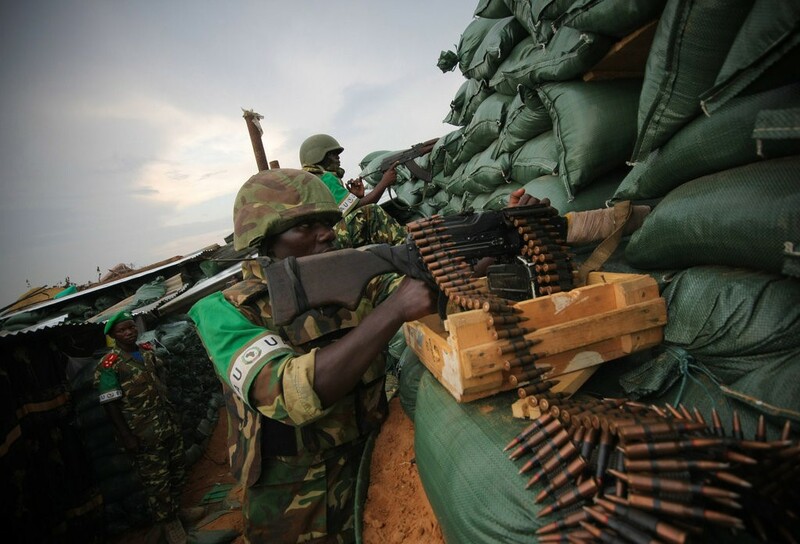 Al-Shabaab forces have been strongly pressured in recent weeks by a Transitional Federal Government (TFG) offensive supported by Burundian and Ugandan troops of the African Union Mission in Somalia (AMISOM). A more immediate threat comes from the Forces nationales de liberation (FNL – National Liberation Front), formerly known as the Parti pour la libération du peuple hutu (PALIPEHUTU), a Hutu rebel movement formed in 1980 in Hutu refugee camps in Tanzania. 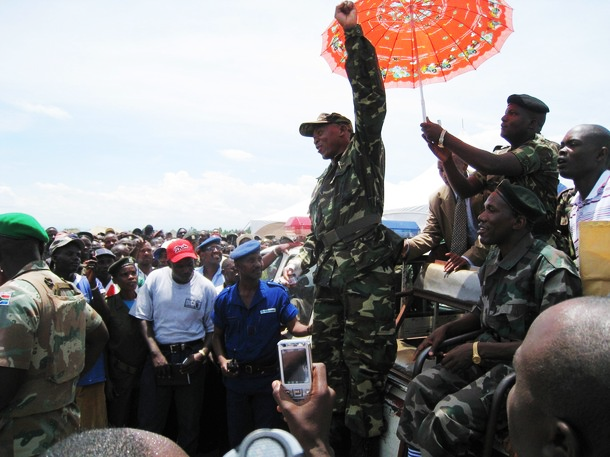 Agathon Rwasa, leader of the FNL, is a former Hutu militia leader who took control of the party in 2002. Rwasa fled Bujumbura in July after the opposition accused the government of rigging local polls in May. Rwasa later claimed in an audiotape that he had feared for his life in Burundi, but is believed to be preparing a new round of armed opposition to the Tutsi-dominated government of Burundian President Pierre Nkurunziza from bases in the Democratic Republic of the Congo (DRC) (Daily Nation [Nairobi], August 1). FNL members who remain engaged in the political process deposed Rwasa as party leader in late July, saying the FNL had “lost a lot by pulling out of the electoral process” (Daily Nation [Nairobi], August 1). Rwasa was replaced by Emmanuel Miburo as the party’s new chairman. Security appears to be breaking down in the Burundi capital as well as along the northwest frontier with the DRC. On the evening of October 25 one group of gunmen attacked a police post in the capital while another group attacked the guards of intelligence chief General Adolphe Nshimirimana (AFP, October 26). Though observers saw Rwasa’s hand behind the attacks, Burundian authorities lay the blame for all such attacks on “unidentified bandits.” The renewed violence has raised fears that a new civil war could be in the offing – Burundi suffered a thirteen year conflict between Hutus and Tutsis that claimed 300,000 lives from 1993 to 2006. Rwasa’s movement was involved in two notorious atrocities – the 2000 “Titanic Express” massacre of 21 civilians on a bus and the 2004 Gatumba massacre of 152 Banyamulenge (Congolese Tutsis). Despite the careful language used by Bujumbura, a senior government official recently told the French press that Rwasa was reorganizing and rearming in the Sud-Kivu province of the DRC and had reached terms with a Hutu rebel movement led by Rwandan genocidaires active in the eastern DRC, the Forces démocratiques de libération du Rwanda (FDLR). There are also suggestions that Rwasa may be cooperating with the Lord’s Resistance Army (LRA), best known for its mass atrocities in northern Uganda. Rwasa’s deputy described the allegations as an attempt to “demonize” the movement (AFP, October 22). The army has also engaged armed gangs in the Rugazi Commune of Bubanza Province (Burundi’s provinces are divided into “communes” and further sub-divided into “collines”), a stronghold of the FNL (AFP, November 10; AfricaNews.com, November 11). The Rukoko Marshes and the neighboring Kibira forest near the border with the DRC have also been the sites of repeated engagements between insurgents and government forces (AFP, November 2). The marshes are only a few miles north of Bujumbura and have become largely depopulated due to attacks on the civilian population by gunmen (AFP, September 18). FNL fighters also clashed recently with troops of the DRC south of Bukavu, the capital of Sud-Kivu province (AFP, November 6; Net Press [Bujumbura], November 9; RFI, November 9). A late afternoon suicide attack on the Burundi Army base in Mogadishu claimed the life of one Burundian peacekeeper and five civilians on April 8 (Shabelle Media Network, April 8). Two other Burundian soldiers were injured in the first strike by Islamist insurgents on the Burundian peacekeepers. A pickup truck loaded with explosives targeted the recently arrived Burundian contingent of AMISOM, the African Union peacekeeping mission in Somalia. Responsibility for the attack was claimed by Shaykh Mukhtar Robow, the leader of al-Shabaab, a military wing of the Islamic Courts Union (Radio Shabelle, April 9). The powerful explosion at the base on the grounds of the now-closed Banaadir University was heard throughout Mogadishu and shrapnel that spread 100 meters injured scores of people (HornAfrik, April 8; Radio Simba, April 9). A roadside bomb targeting a Burundian military convoy the next day failed to cause any casualties (AFP, April 9). Muhammad “Dheere” Umar Habeb, a former Jowhar-based warlord who now acts as governor of Banaadir Region and mayor of Mogadishu, claimed that the perpetrator was “brainwashed” and acting under the orders of al-Qaeda (Somaaljecel, April 10). It is customary for officials of Somalia’s Transitional Federal Government (TFG) to attribute all terrorist attacks in Somalia to al-Qaeda in order to secure military and financial support from the United States. 1,500 Ugandan troops arrived in Somalia in March 2007. They were expected to be the vanguard of an 8,000-strong African Union peacekeeping mission intended to support the TFG, establish stability, facilitate the provision of humanitarian aid and create conditions for long-term reconstruction and reconciliation. Since then, however, only 850 troops from Burundi have arrived to assist the hard-pressed Ugandans, who have been targeted several times for lethal attacks by the Islamist insurgents. Contingents from Nigeria, Ghana and Malawi have all failed to appear. The attack on the Burundians seemed to fulfill a promise made last year by notorious ICU militant Aden Hashi Ayro: “We will fight and assassinate [Ugandan] officers. All other African troops sent to Somalia will face the same fate” (Qaadisiya, November 14, 2007). With its diminished numbers, the AU mission has had little impact and many Somalis view the peacekeepers’ mission to be one of support to the Ethiopian occupation force and the U.S.-backed TFG warlord government. 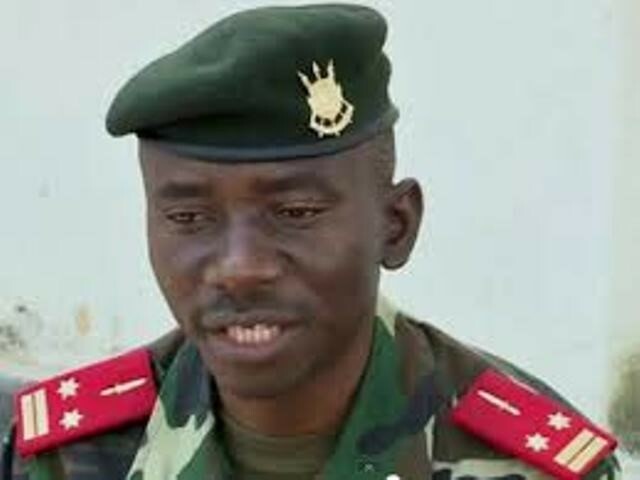 Force de défence nationale (FDN) spokesman Lt. Col. Adolphe Manirakiza stated that the sole objective of the Burundian troops was to “help the Somali brothers reconcile,” noting that “every trade has its risks…” (Panapress, April 9). The FDN initially claimed it was unable to fulfill its commitment to AMISOM due to equipment shortages and transportation difficulties but has since received assistance from France and the United States (burundirealite.org, April 9).